What do you get when you submerge a refreshing blend of cooling herbs into a jug of water and allow it to soak up the heat of the sun? Sun Tea! 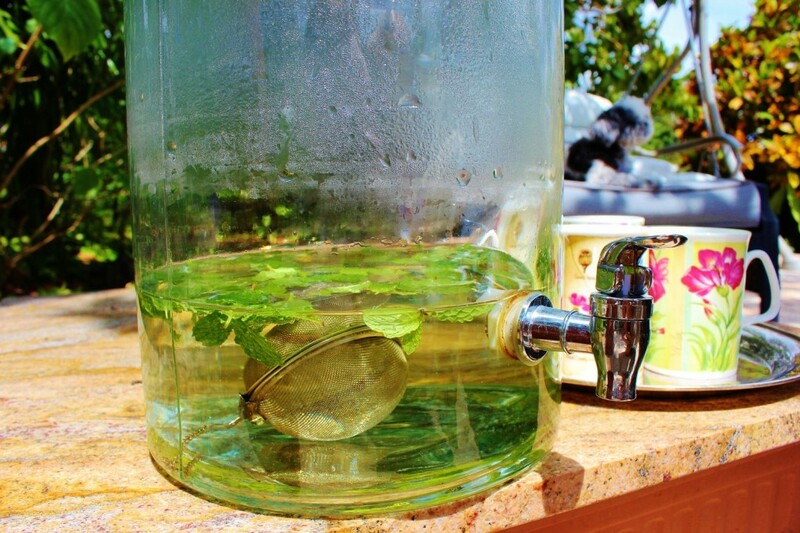 I first made sun tea in college using lemons, mint, and lipton ice tea bags. This Ayurvedic alternative is a caffeine-free, super cooling alternative that uses a tri-doshic blend of herbs and spices (Fresh Mint and Coriander, Cumin, and Fennel Seeds). Using the natural energy of sunlight their magical soothing qualities infuse into freshly filtered water. These fresh mint leaves were snipped from my Aunt Amy’s garden in Goodland, FL on a hot humid day when I could think of nothing more thirst-quenching than mint and cooling spiced tea. 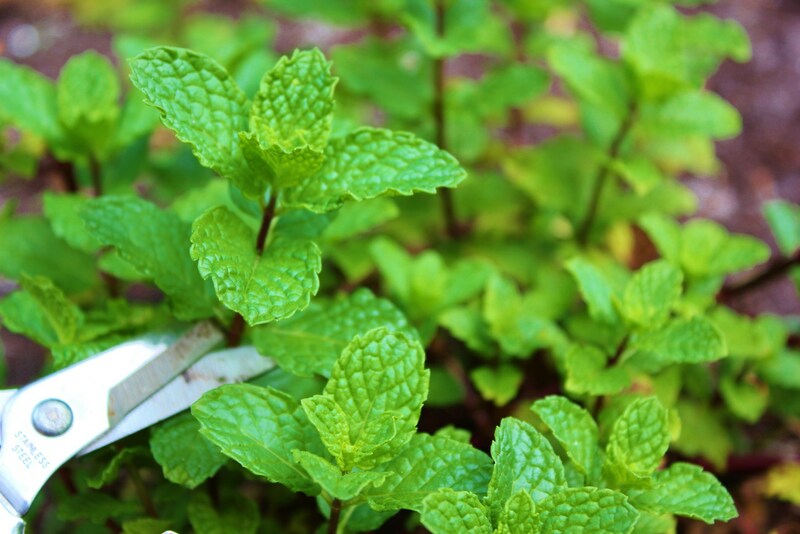 Mint loves to be cut and grows back quickly with a new flush of growth. 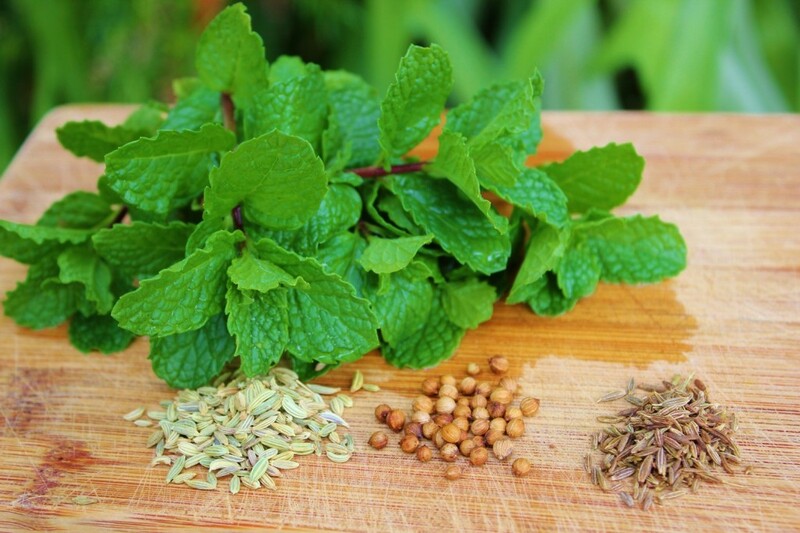 The fresh mint, fennel seeds, coriander seeds, and cumin seeds. All are good for all three doshas. 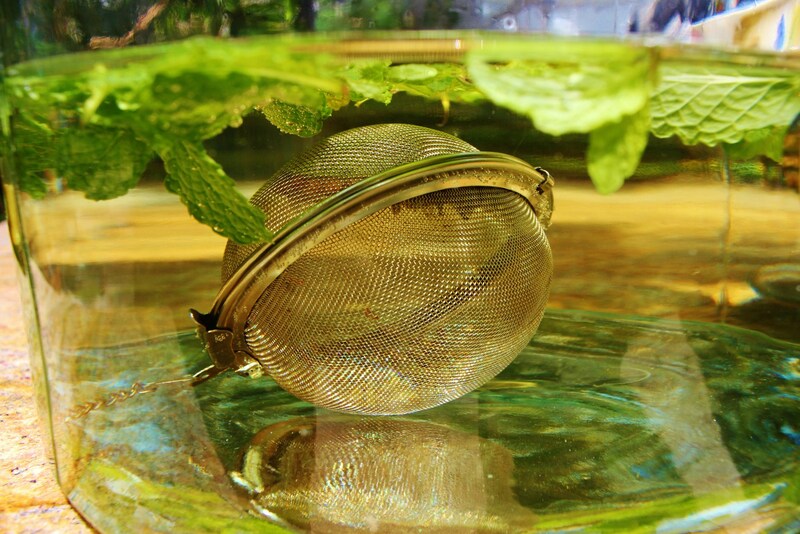 I put the seeds inside of a large tea ball and place that and the loose mint leaves into a glass jar filled with freshly filtered water. 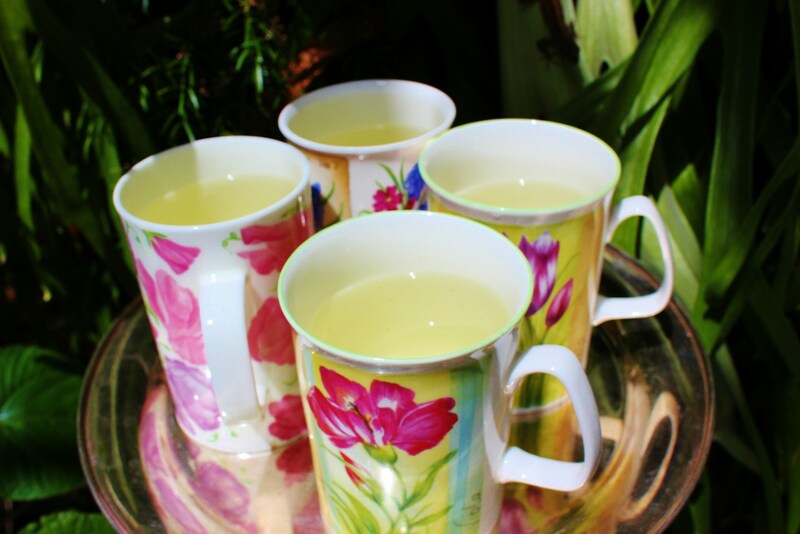 Allow at least 2 hours for the tea to be steeped by the energy of the sun. Pour into mugs and enjoy under the shade of a tree. Note – Especially balancing for Pitta dosha. What do the colorful boxes mean? Enjoy my post? Sign up for updates...it's FREE!